AUSTIN— Planning a day or overnight trip to a Texas State Park just got more comfortable with new online features available in the Texas State Parks reservation system. 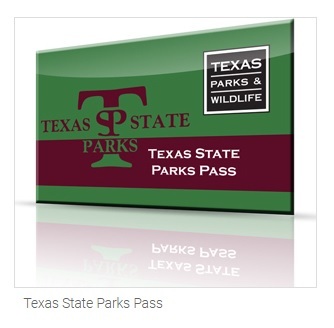 The new options allow visitors to reserve a specific campsite, buy day passes in advance and buy or renew a Texas State Parks Pass online. Visitors now have the option to purchase day use passes up to one month in advance, guaranteeing access to parks even during busy times like weekends and holidays. The new “Save the Day” pass helps address the growing issue of visitors not being able to get into a favorite state park due to overcrowding. Day passes for some of the more popular parks have specific arrival time slots. Visitors to parks such as Balmorhea State Park, Brazos Bend State Park, Enchanted Rock State Natural Area, Garner, and Government Canyon State Natural Area can select an arrival time and have the peace of mind knowing they can get into the park. Anyone planning overnight trips at a Texas State Park can now choose a specific site when making reservations up to five months in advance. Photos and details of campsites, shelters, and cabins are available online, so campers can pick their site before arriving at the park. Visitors can search for locations by specific parks and site types, see photos of the site before making their decision and see details for each site including utilities, parking pad length and width, and amount of shade. Larger families and groups can also select and reserve adjacent sites so they can enjoy the outdoors together. Texas State Parks are making every effort to make the reservation system upgrades as smooth as possible. All existing park reservations have been moved into the new system and are secure. Any customers experiencing issues may contact the Customer Service Center at (512) 389-8900. However, in the early days of the improved system, Customer Service Center wait times are expected to be longer than usual due to increased demand.